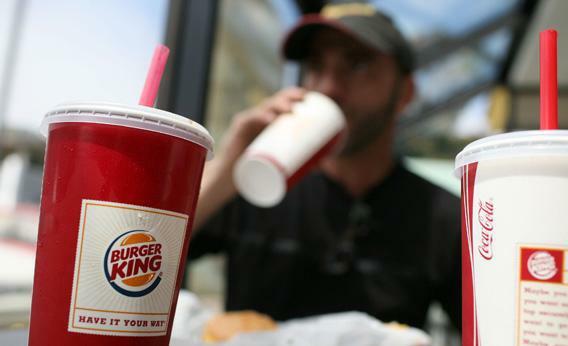 Bloomberg’s soda ban: Taxing sugary beverages is a better, more effective idea. Tax them instead. A new study shows that even small price differences can nudge us toward healthier beverage consumption. Should soda be taxed like cigarettes? No one likes to be told what to do. And if the city is banning supersized soda, some fear that it won’t be long before the government will be forcing broccoli down our gullets. Maybe it’s time to revisit a gentler approach to nudging New Yorkers to eat and drink more healthily by taxing sugar, fat, and other foods that help make America the fattest nation on earth. Boosting prices on unhealthy food is also fraught with controversy, in large part because poor people eat a lot of the junk food that would be targeted with the new taxes. Much prior work has found that food and beverage purchases—including those by low-income shoppers—are surprisingly insensitive to changes in prices; consumers buy what they want to buy anyway. If this is the case, then fat and sugar taxes will further impoverish the poor without making them any skinnier. But new evidence suggests that this concern may be overstated. A trio of marketing professors have shown that in places where a gallon of whole milk is 40 or 50 cents more expensive than skim, low-income shoppers are twice as likely to buy the lower-calorie milk. If consumers react similarly to price increases for sugary sodas and other unhealthy food options, simple economic incentives may help make low income Americans healthier, and without having to ban any Big Gulps. A natural question to ask of the researchers is why they focus on milk rather than soda in studying American drinking habits. The reason is that it’s generally very hard to determine the effect of a product’s price on the amount of it that’s purchased and consumed. Suppose, for example, you tried to figure out how raising Coke prices would reduce consumption by looking at the relationship between prices and Coke sales for vendors selling food and drink at the beach. On hot days, Coke demand spikes, and sellers respond by raising their prices—yet still end up selling out their inventories. On cooler days, no one wants a cold drink, so vendors have to cut prices just to attract a few buyers. If you ignored differences in the weather, you might conclude from the data that raising prices actually makes people drink more Coke. It’s this sort of apples-to-oranges comparison that may account for the fact that many prior estimates of the impact of prices on beverage consumption reach very different conclusions. What’s that got to do with the price of milk? Unlike soda and orange juice, where prices are determined to a large degree by market demand and production costs, government regulation determines milk prices. Whether whole milk is more expensive than skim can to a large extent be traced back to post-Depression regulation that set up federal milk marketing orders that dictated minimum prices that processors paid farmers for milk. (Unlike, say, corn growers, dairy farmers have to sell their production daily and so might be subject to extortion by unscrupulous processors.) Milk regulation has evolved considerably over the years, and each area of the country has its own insanely complicated way of determining milk prices. Crucially for the study’s authors, in some places—like California—milk prices are set based on the product’s butterfat content, resulting in higher minimum prices for whole milk than 2 percent or skim, a cost which wholesalers generally pass on to consumers. In New York, we pay the same price for any kind of milk. So the fact that New Yorkers pay uniform milk prices and San Franciscans don’t has nothing to do with the tastes of the cities’ residents, but rather the regulations imposed on their dairy markets. (And there are many places where prices are set as they are in New York, and many other places where prices are set as they are in San Francisco.) So it’s possible to assess the effect of milk prices on milk purchases by comparing the two groups. The research team—Romana Khan of Ozyegin University in Istanbul, Kanishka Misra of the London Business School, and Vishal Singh of NYU—collected scanner data from over 1,700 supermarkets for 2001 to 2006 to examine how milk-buying patterns differ around the country depending on whether lower-fat varieties of milk are cheaper than whole milk or exactly the same price. Focusing on gallon containers of store-brand labels, they find that even relatively modest price differentials between whole and 2 percent can shift purchasing behavior: For consumers in the bottom 20 percent of the income distribution, even a price difference of 5 percent or less between whole and 2 percent reduces whole milk’s overall market share by 20 percent. For these low-income buyers, a 15 percent price gap cuts the whole milk’s share in half—from 52 to 25 percent. Rich consumers—in the top 20 percent of the income distribution—buy a lot less whole milk than poor consumers even when its price is no higher than other milk. But even these high earners engage in milk comparison shopping: a 15 percent price differential between whole and 2 percent drops the market share of whole milk from 25 to 15 percent. Taken together, these findings should make some adversaries of sin taxes at least reconsider their opposition. During his time as New York state governor, David Paterson proposed a sugar tax on the same beverages that Bloomberg hopes to ban in their 32-ounce form. The plan (supported by Bloomberg) was a nonstarter in large part because of fears of the impact on low-income soda addicts who would keep buying regular soda rather than the untaxed diet version. The findings of Khan et al. suggest that the income effects would be limited if a sugar tax creates even a modest price difference between regular and diet soda: Poor consumers will switch drinks rather than continuing to buy soda they can’t afford. While 15 percent might sound like a lot of sticker shock, society has come to terms with cigarette taxes that, in New York City, constitute over a third of the price per pack. The study does emphasize that the taxes need to be careful designed to deliver maximum impact: Consumers respond less to taxes if they’re not listed in shelf prices and imposed only at the cash register. Cigarette taxes are folded into the price, just as gas taxes are at the pump. Harvard health economist Amitabh Chandra—one of the authors of the hospital-cafeteria study—also points out that, rather than taxing specific items like soda or ice cream, it would probably work better to literally tax fat or sugar content to minimize the chances that consumers would switch to other unhealthy foods. None of this will be persuasive drink-free-or-die libertarians who oppose all such taxes as paternalistic, interventionist meddling. Nor is it likely to convince beverage manufacturers to reverse their steadfast opposition to any taxes on their drinks. But these studies may help everyone else to see soda, fat, and sugar taxes as a two-for-one of raising government funds and improving the health of Americans at the same time.